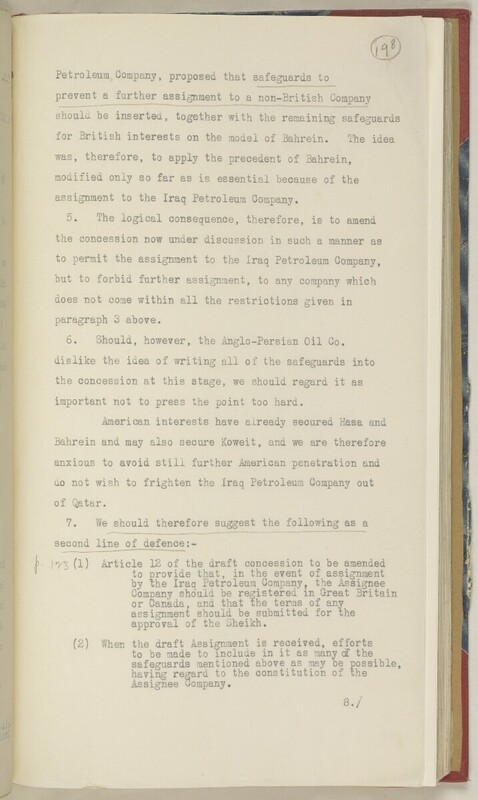 assignment to the Iraq Petroleum Company. 6. Should, however, the Anglo-Persian Oil Co.
important not to press the point too hard.